Benzi Pet Stay offers pet boarding and training facilities for cats and dogs and their services are pocket-friendly. Don’t cancel holiday plans on account of Pepper or Mimi anymore, your pets will be in good hands at Benzi Pet Stay. Benzi offers pet boarding for both dogs and cats. 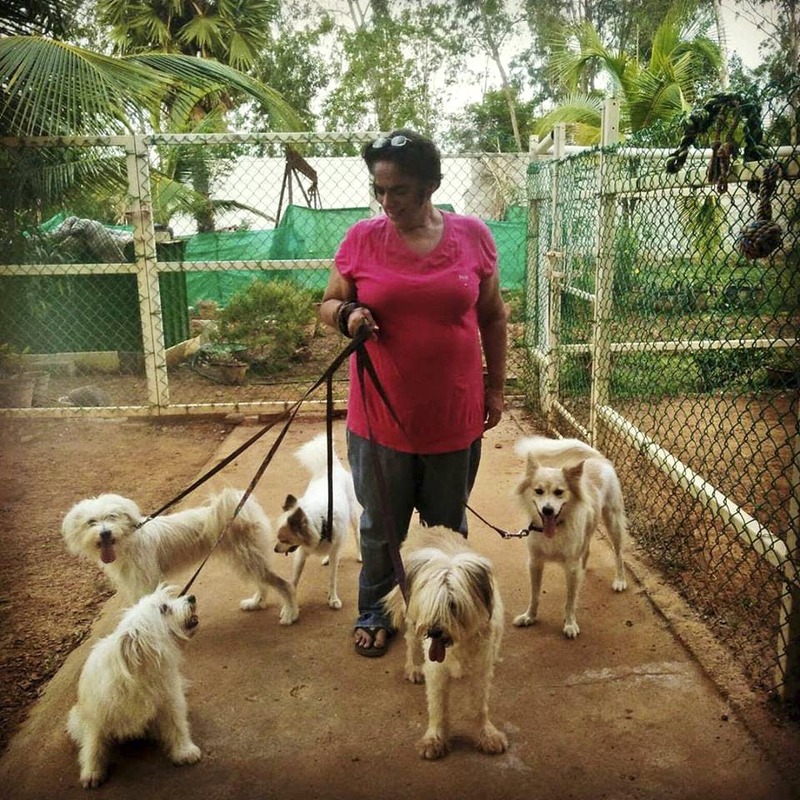 Their cat boarding is at Thuraipakkam and the dogs are taken care of on a 1-acre farm in Tiruppur (down OMR road). For cats, they’ve got individual crates which have been built after consulting Dr. Cat (India’s only feline specialty clinic) and they offer Whiskas dry food and litters. Benzi charges INR 500 per day and pet owners need to supply wet food or pay additionally. For those of you wary about pet boarding for your dogs, rest easy, as right from the space to the staff, your pet is in safe hands. The space is a 1-acre farm along OMR and dogs get individual rooms (around 110 sq feet) and there’s loads of outdoor space to play. The play time has been cut short now (due to the summer) and is from 7-8am. Benzi provides Pedigree as well as home-cooked vegetarian food. They’ve stopped their chicken supply now, but chicken rice will soon be available for pets. There’s also a 1-feet splash pool for dogs to cool off and a big swimming pool is underway. Dog boarding rates are INR 650 per day. Benzi doesn’t bar any kind of breed, but they only accept vaccinated pets. They also need to meet the dog before the boarding and are currently taking care of 10 cats and dogs. Benzi Pet Stay also offers puppy training tips and lessons. While they don’t directly train pets (unless there are some serious behavioural issues), they do offer training plans starting INR 1,500, and it lasts for about a month and a half.